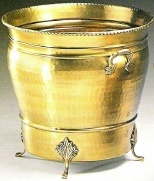 Solid brass planter lacquered to resist tarnishing. 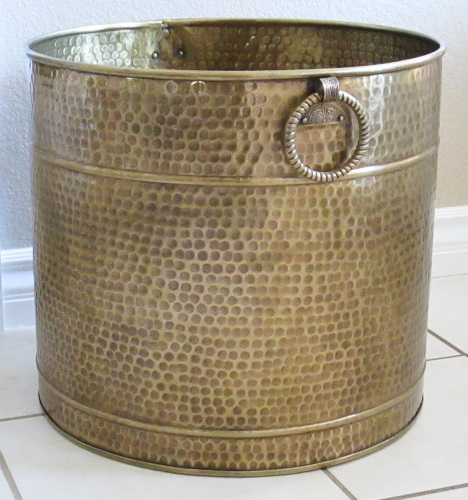 17.5"W x 16"H. Hammered antique finish. Use indoors or outdoors. No drain holes. Size or finish can vary slightly hand made item. Available in 3 sizes. 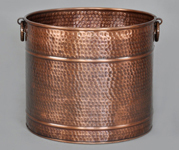 Our classic large solid brass planter in hammered antique finish is lacquered to resist tarnishing. 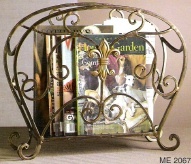 Solid cast brass handles and fittings add to the elegance of this piece. Diameter 17.5" (measured across top opening). Height 16." Each piece is detailed by hand so finishes, weight, or dimensions may vary slightly. An Excellent Accents exclusive item. Ships as FedEX oversize-rated parcel due to dimensions and packaging requirements. 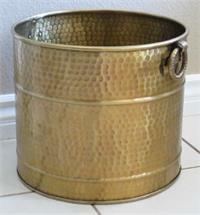 Solid Brass Planter 13"W x 11.75"H Hammered. 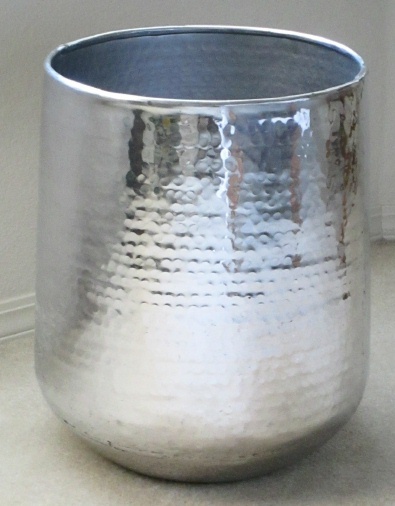 Solid brass planter lacquered to resist tarnishing. 13"W x 11.75"H. Hammered antique finish. Use indoors or outdoors. No drain holes. Size or finishes can vary slightly hand made item. Available in 3 sizes. 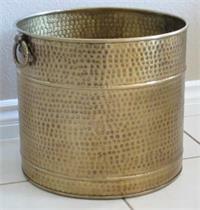 Solid brass planter lacquered to resist tarnishing. 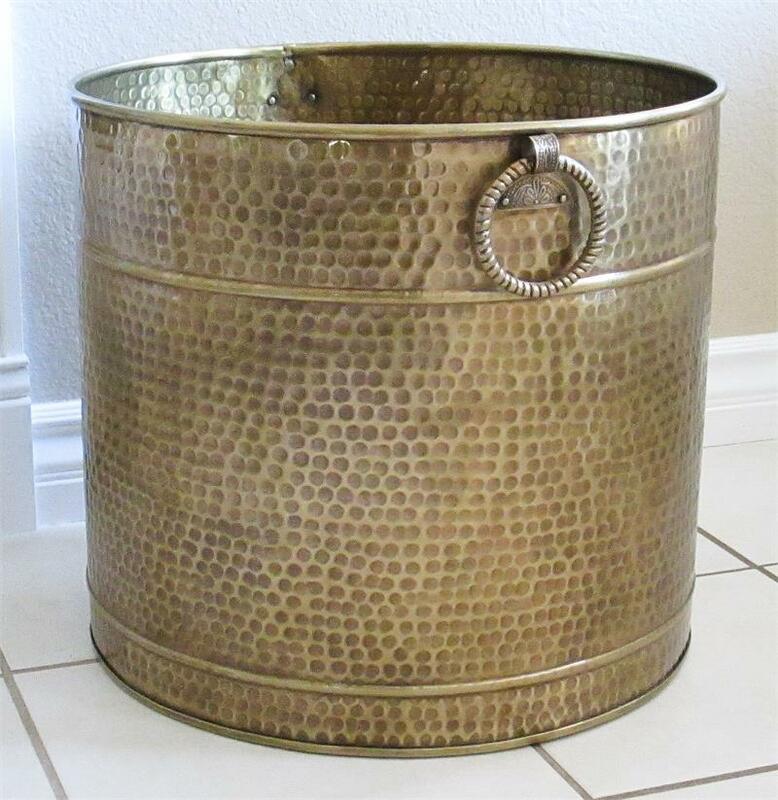 15"W x 13.75"H. Hammered antique finish use indoors or outdoors. No drain holes. Size or finishes can vary slightly hand made item. Available in 3 sizes.